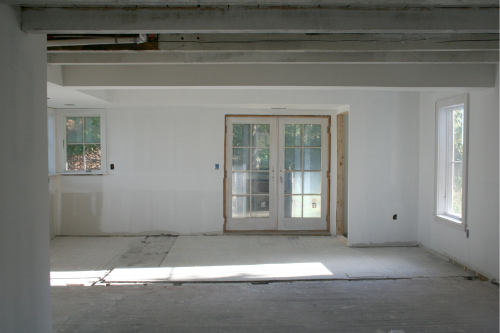 We've got Sheetrock, window trim and primer- it's starting to feel like the home stretch. The house survived Irene with only a few fallen limbs that thankfully missed the house, and the basement stayed dry. 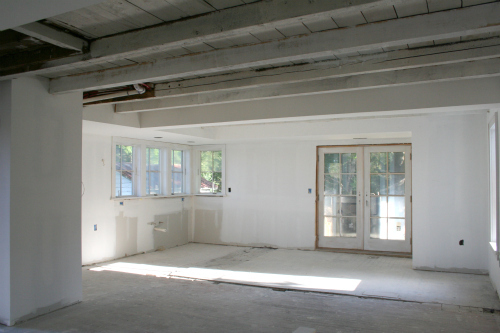 The beams primed with white paint- makes the whole place feel bigger and brighter. Kitchen cabinets going in soon!! 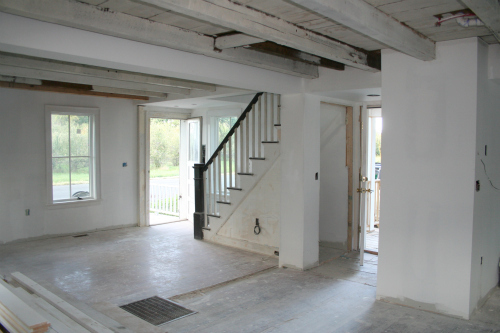 The pile of wood will be floors (fingers crossed) next week. 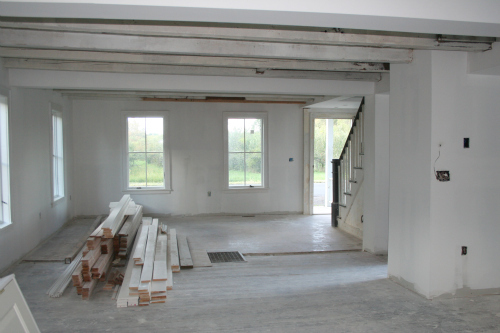 The side entry- haven't decided if we should put stone down or wood. 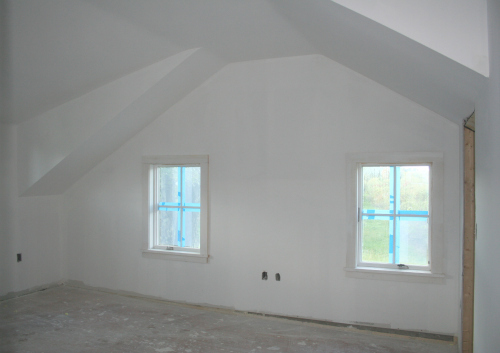 Master bedroom with trim almost done. 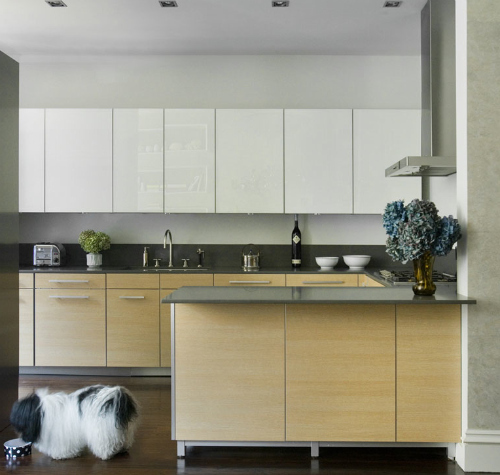 Loving this Frank Roop designed kitchen with the mix of birch and white. We aren't putting in wall cabinets so I was thinking of keeping the cabinets white and making the island maple. 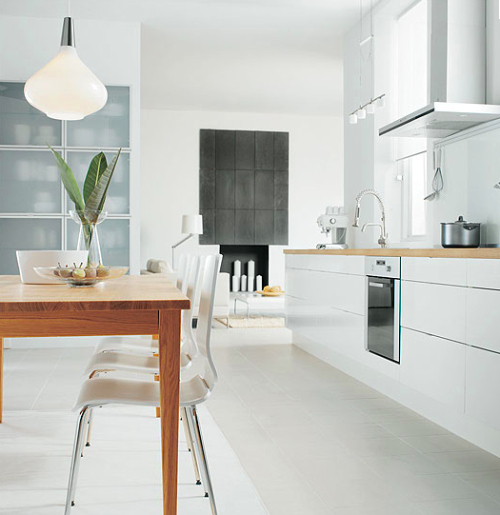 For a few more scrumptious kitchens go here.